I've been doing these weekly round ups for a whole year now and I still love doing them just as before. They're a great way to keep a check on the things I've been loving and will come in handy particularly for the 2014 favourites. I cannot believe it's december already and Christmas is only a few weeks away. 2014 has gone far too fast. So here's the things I've been loving for the first week of December. 1. 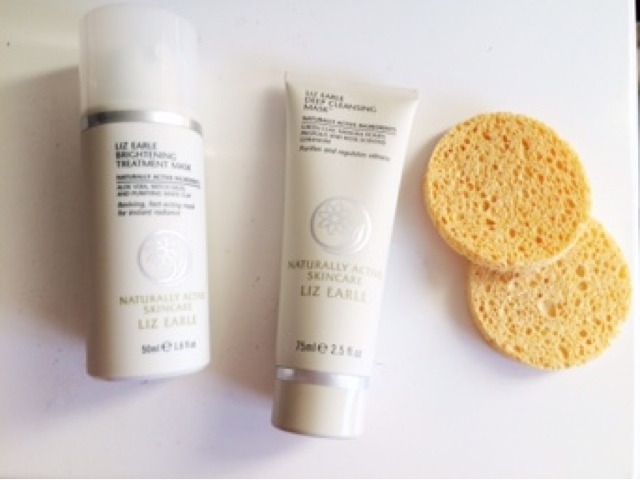 I received the Liz Earle Deep Cleansing Mask & Brightening Treatment in the post at the beginning of the week as I'd heard so many amazing things about them and for the price I thought I would give them a go. The Deep Cleansing Mask is so quick and easy and you get two sponges in the kit to remove the mask and they gently exfoliate the skin. This mask left my skin feeling comfortable, not dry, or tight, or anything like that, and in the morning, the blemishes I had hanging around on my chin were almost gone. The Brightening Treatment is another quick treatment. You leave it on for 30 seconds to 2 minutes and then wash off and it instantly makes your skin look brighter and glowing and leaves skin feeling super soft and smooth so I am, of course, in love with both of these masks. I will review them once I have used them a bit more but first impressions are very very good. 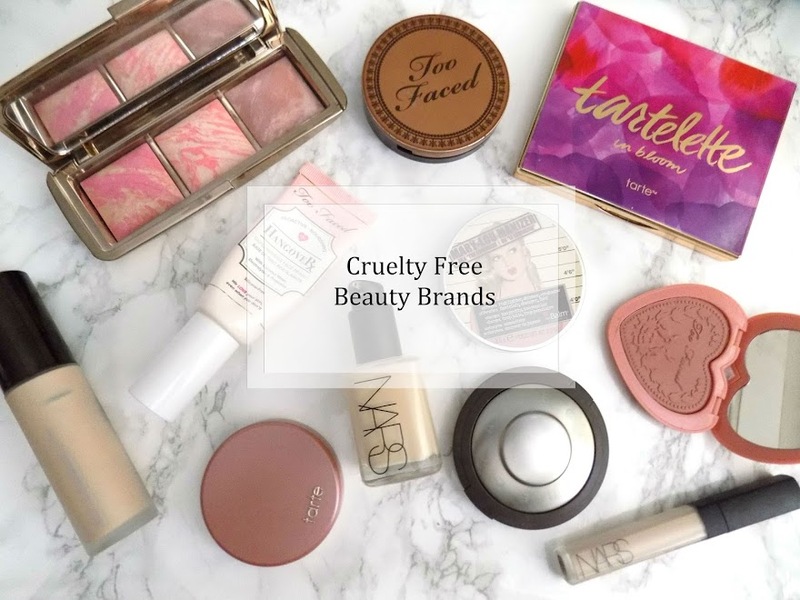 I have not used these long enough to fully recommend them to you but keep an eye out for the review and I may be recommending them. 2. 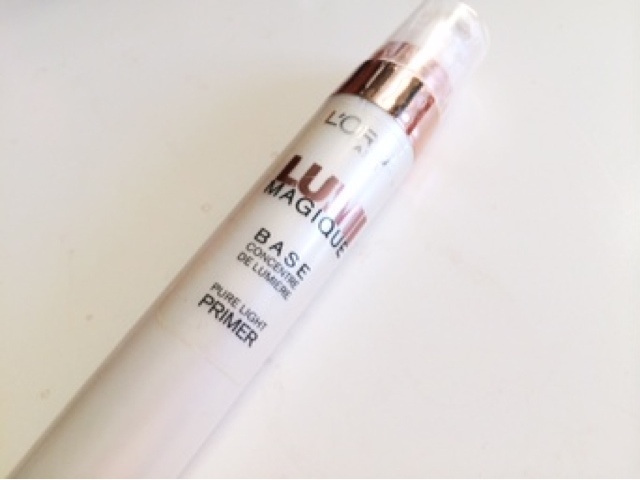 The L'Oreal Lumi Magique base hasn't been in my everyday routine for a while but I am loving this again to give my skin a nice radiant glow which, I so desperately need as the dry, powdery look is not my favourite. I love this stuff. I highly recommend it and if you haven't tried it, you definitely should. 3. 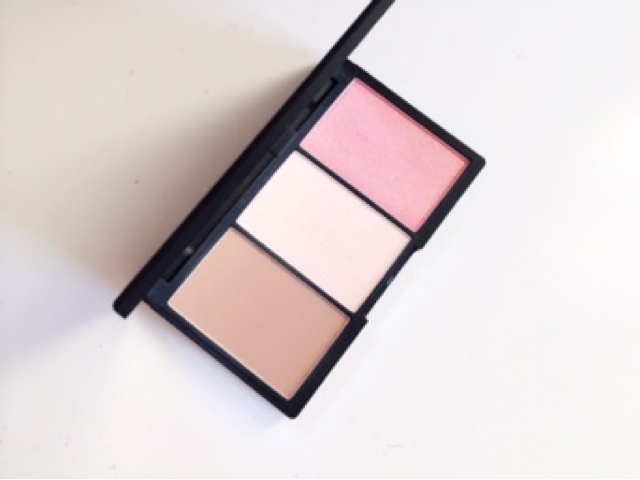 I dug out the Sleek contour & highlight palette from my makeup stash this week and I've been using it everyday. The bronzer always looked too dark and orange for me but actually I really like how it looks and the warmth it gives my skin makes me look less pale. The highlighter and blush are also really pretty shades, although the blush is super shimmery with lots of gold flecks through it so I don't use a lot of it and will normally apply something else over top. I've been using the palette every day I've worn makeup this week. I love when you rediscover a product you purchased a while ago and use it constantly. 4. Bourjois mascara came in a gift with purchase including an eyeshadow trio, nail polish and lipstick as well. 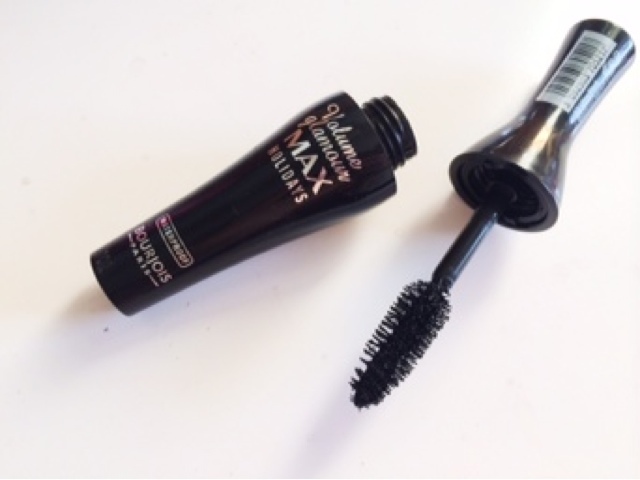 This mascara has some serious volumising power and it's great for everyday too as it's not waterproof but it still holds the curl, no flaking or smudging or anything like that. It's a bit of a pain to wash off but first time I used it I applied 4 coats to see how it would look as I like my lashes to be quite full and long and it layered perfectly, didn't clump too much and stayed all day. Need to try out some other removing techniques though. Will definitely be purchasing the full size when the mini one runs out. 5. Last week you would have seen the Maxfactor Excess Shimmers in Copper & Bronze. These are still my favourite. I've been using Copper every single day all over my lid and added a tiny bit of Pewter from the Lorac Pro Palette on the outer corner which looks stunning. 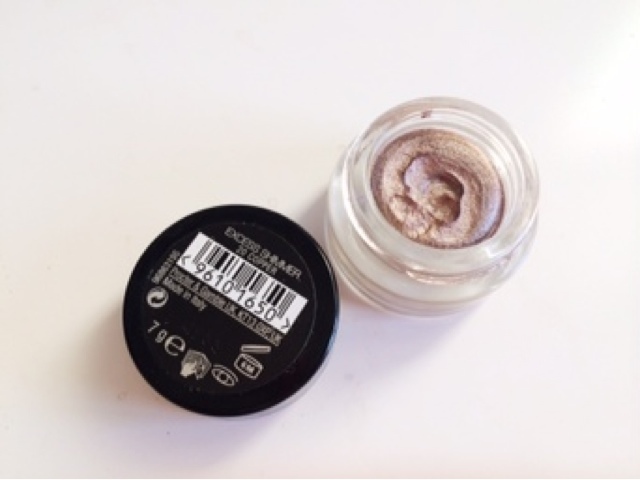 Don't be afraid to try these because they're called excess shimmer, not going to lie it has a lot of shimmer, but it's wearable and it gives a nice effect. Plus they're so easy to use the shimmer won't even bother you once you've applied them. They'd be great for a Christmas party as they last forever. 6. So I did it. 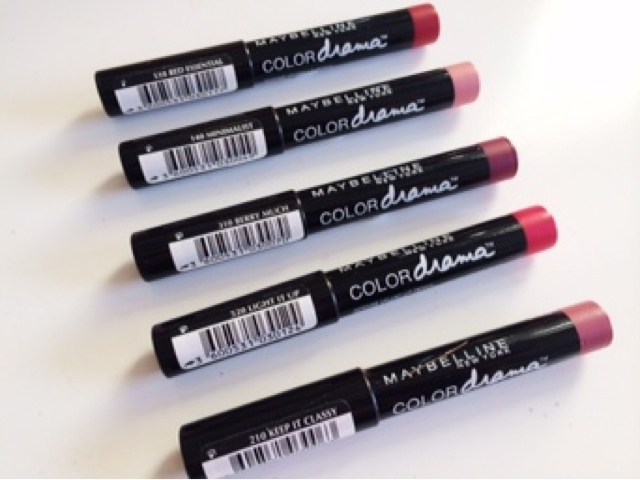 I went and picked up more shades of the Maybelline Color Dramas Intense Velvet Lip Pencils whilst they were on offer and I'm in love. Bold lips has been my thing this week and I've been loving wearing the new lip products I've picked up recently. So for the Color Dramas I've picked up Minimalist, Light it Up, Red Essential and Berry Much and I already had Keep It Classy. All such stunning shades and I am obsessed. Highly recomend these. Review coming soon, but you will be seeing them a lot as I have some makeup looks that I want to use them in. 7. 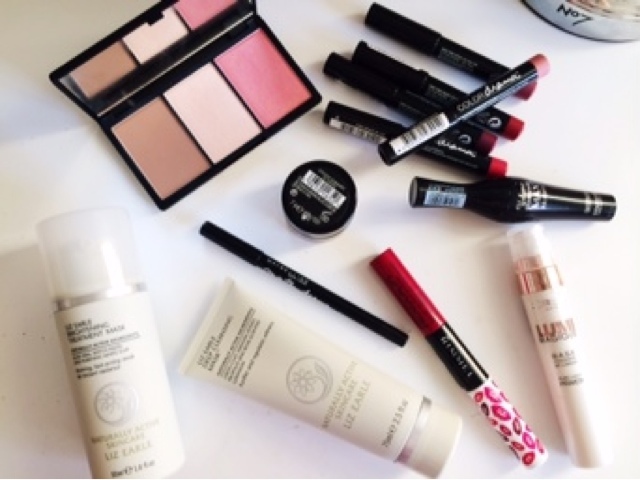 Carrying on with the bold lip theme, I've picked up a few other products that I've been obsessed with. Starting with the Rimmel Provocalips in Play with fire. You will see a review on this tomorrow as this is just incredible. The shade is beautiful. The formula is so long lasting it's crazy and I just love it. This will last 10 hours without any need for a touch up. Crazy right? 8. The Maybelline Master Drama Kohl Eyeliner in Brown appeared in last months round ups. So I thought I would pick up the Black shade and see if it's any better than the Rimmel Scadaleyes. I can confirm it is even better. It's so long lasting and so black I love it. 9. Last week I went on a little adventure to the shopping centre near where I work in search for some Christmas presents. I came across New Look which I think has some great pieces on so I went in to take a peak. 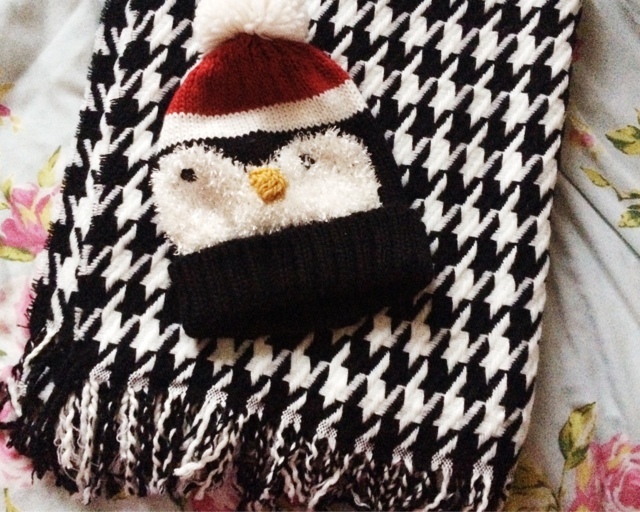 I came out with a houndstooth scarf which resembles a blanket, and a beautiful faux fur black coat. I've never had one of these coats before so I wasn't 100% sure but it is the softest! warmest, most beautiful coat I have evr worn and I am in love. For real this time. I love this thing and I will get lots of wear from this for work and over Christmas and New Years so I am so pleased with it. It was reduced for the sale and then it was on Black Friday so there was even more of a discount. What I love about this one though is that it has a really nice hood and some deep pockets so there's no risk of my phone dropping out or anything like that. My mum has even gone out and got on but without the hood as it's so warm and cosy. I'm obsessed. 10. Another fashion item is this adorable little Penguin Beanie which I got from Peacocks and it's so cute and incredibly warm. Finally for my favourites is this Miss Selfridge's Fluffy White Jumper with beautiful shoulder detail. Again, another soft and fluffy item but this feels so nice to wear. It's so soft and comfortable and I just love it. I know I have said that a lot in my favourites but I'm in love and I think you should all go out and get a fluffy jumper. I did purchase a gold skirt to go with it but that's for Christmas Day I think so I will show you that then. I know that's quite a lot of things to take in and I hope you're still with me to the end. Let me know what your favourites are and if you can recommend me any long lasting lip colours to try out I would really appreciate it. Eventually I will do a face off and compare all the formulas and see which is the best one. 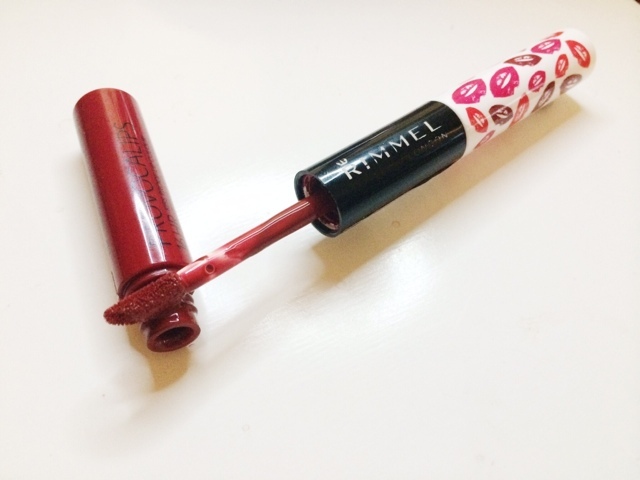 Don't forget to check out tomorrow's post which is the Rimmel Provocalips review. Also, so,e exciting posts will be up this week getting in the Christmas spirit and giving some gift ideas, maybe it's a gift guide? So check that out Monday and Wednesday.